You can find more than 30 sports fields, school fields or arenas in different parts of Kangasala where you can play various sports from volleyball to tennis. What could be nicer than throwing a frisbee into a basket on a beautiful day at a great park course! 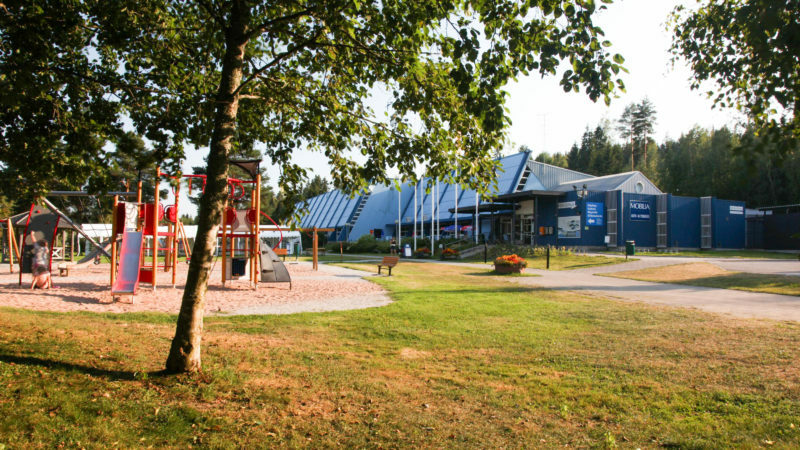 The free-of-charge DiscGolfPark course is located near the Tampere border. The course has nine lanes, a par of 28 and the lengths of the lanes range from 60 to 160 metres. The courtyard of Pitkäjärvi School is connected to a skate park of almost 400 square metres that is freely accessible after the school day. It is suitable for skateboarders, scooter riders and BMX bikers alike. Both beginners and more experienced hobbyists will find suitable challenges in the park. Kangasala is a town with dozens of beautiful lakes whose numerous public beaches offer recreational activities for both the town’s own residents and summer visitors. Some of the beaches are equipped with a pier and play equipment, while others are peaceful coves favoured by families. Liuttu beach is the town’s second central beach. It has a three-metre jumping platform, two piers and a children’s learning area. The Liuttu beachfront is great for sunbathing thanks to its favourable orientation with respect to the sun. The nearby ball court and children’s play equipment offer activities for the summer. With its location, Vesaniemi beach is a real gem in the immediate vicinity of the town centre. It has jumping platforms of three and five metres for daredevils, new piers and a children’s learning area. The beach is great for sunbathing and has play equipment for children and a court for playing beach volleyball. Play areas include playgrounds and the play yards of kindergartens and schools that are available in the evenings and weekends when there are no activities at the schools and kindergartens.